The first major update of 2018 is now live for The Elder Scrolls Online, adding the two new dungeons of the Dragon Bones DLC and erverything in update 17 to the game. Update 17 has been released simultaneously with the Dragon Bones DLC and is free for everyone. The update includes a new outfit system, two new battlegrounds, a home storage system, and additional gameplay features such as level up and skill advisors. Both update 17 and the Dragon Bones DLC are available now on Windows and Mac. 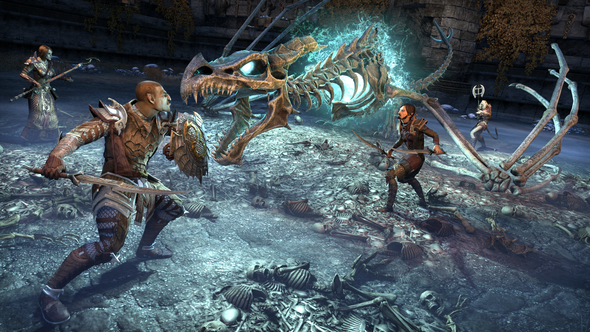 The Dragon Bones DLC is free for ESO Plus membersand is available for purchase from the crown store for non-members.